A bona fide Nohgaku production will soon take place in Paris. Performers Man Nomura, Minoru Umewaka, and Masakuni Asami and other project members tell us their thoughts and feelings on the landmark event. The Japan Foundation, Nikkei, Inc., and Philharmonie de Paris have teamed up to stage a Nohgaku production this February at Cité de la musique in the 19th arrondissement of Paris, as part of the Japonismes 2018 program. The people of France share a fascination with Japanese culture, with Nohgaku in particular holding a special place in their hearts. Boasting a history and traditions going back more than 650 years, this embodiment of the essence of Japanese culture has long been food for French intellectual curiosity. Over the years, Nohgaku—the collective name for two modes of traditional Japanese theater, the serious Noh and the comical Kyogen—has been performed for many audiences outside Japan. Unfortunately, however, various obstacles, such as the difficulty of reproducing the unique stage design, prevented those efforts from expressing the full magic of the world of Nohgaku. The upcoming show in Paris aims to break through those barriers and perfectly mirror the level of productions in Japan across all elements, including the actors, the trademark roofed stage, the plays, and the organization. We recently met with the Paris show’s lead actors—Man Nomura, Minoru Umewaka, and Masakuni Asami—and two behind-the-scenes leaders to have them tell us their thoughts and feelings about the project. Here’s what they had to say at our gathering at the National Noh Theater, the hallowed hall of Nohgaku in Tokyo. Man Nomura: I have performed Nohgaku many times in Europe since 1957, the year I took part in the first-ever European production of Kyogen. In planning the Nohgaku project for Japonismes 2018, I talked with Hiroyasu Ando, President of the Japan Foundation, about how we should frame Nohgaku and what sort of program we should present. 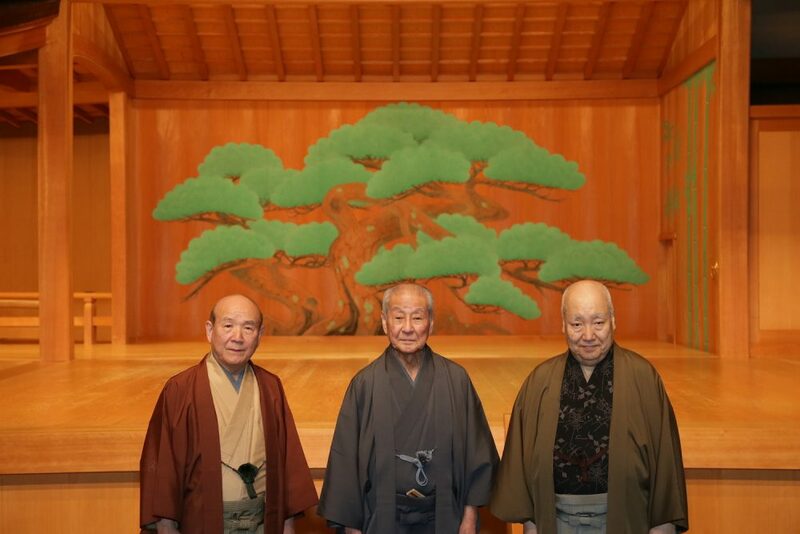 We decided that the Nikkei Noh Appreciation event we have staged with Mr. Masakuni Asami for more than ten times would be an excellent platform to work from, and so we are going to try to reproduce it in Paris in its current form as closely as possible. Over the sixty years since the first Nohgaku performance in Europe I had never imagined that such a full-scale production could be presented outside Japan, so I am really grateful for this opportunity. One way I am getting ready is to look after my health. And, speaking as Chairman of the Japan Council of Performers Rights & Performing Arts Organizations, a group that encompasses the entire performing arts community, I hope that European audiences attending our Japonismes 2018 production will feast their minds on how it reflects and embodies the kaleidoscope of emotional experiences rooted in Japanese culture, one that has occupied the hearts of the Japanese, from the nobles, samurai, and commoners of yesteryear to the people of today. Minoru Umewaka: Last February I inherited the title of Minoru Umewaka IV. During the Edo period, Noh performers enjoyed a stable living, backed by the shogunate’s patronage. After the Meiji Restoration took that support away, it was my great-grandfather, Minoru Umewaka I, who worked hard to keep Noh alive. He was very passionate about presenting Noh to audiences outside Japan, including by providing training in this art to Ernest Fenollosa, an American educator and historian of Japanese art in the Japanese government’s service. Today, that same passion runs in my blood as well. I have given many performances overseas. I will be performing Kiyotsune for Japonismes 2018, which is a work I have presented before in France. It was held in the open air and we have to contend with a downpour, but what really sticks out in mind is that everyone in the audience stayed for the entire show. I have also performed a new play, Kukai, in France. Anywhere you go, it is the classical works that are a hit with theater-goers, but there was something in me that really wanted to present Kukai to the French. While performing on stage, I noticed that people in the audience were swaying their hips in rhythm with the music. That was something I had never seen before. Afterwards, a person who saw the show told me that it convinced him that he needed to experience new works, not just the classics. Hearing that, I was really glad that we put the show on in France. Masakuni Asami: It was about 60 years ago that Nohgaku was performed outside Japan for the first time. Since then, it has been presented abroad on many occasions, and I have taken part in a good number of those productions. For a long time I have felt the compelling desire to convey Nohgaku in its truest form to our international audiences. I think the biggest barrier that kept us from doing that was the prohibitive cost of the traditional Noh stage, which is integral to our art. There just were not enough funds to take a stage with us or to build one locally. Since the upcoming production in Paris is not a stand-alone event but a part of the big Japonismes 2018 project put together by Japan and France, we, I am very happy to say, have the wide backing we need to transport a genuine stage to the venue. As for the program, my first priority is to give our international audience an authentic presentation of Okina, a work that is the essence and roots of Noh. We will also put on Kiyotsune, which brings back many fond memories for Mr. Minoru Umewaka of his previous performance in Paris. Kinuta has also been done in France before, by the 1976 Zeamiza production staged at Théâtre d’Orsay, which was under the direction of acclaimed actor Jean-Louis Barrault. That production featured the late Hisao Kanze, my mentor, whose dancing style wowed the audience beyond expectation. Both Kiyotsune and Kinuta are masterpieces by Zeami. Also in our program is Aoinoue, which derives from The Tale of Genji and is a favorite with audiences both in Japan and abroad. The two pieces that Mr. Man Nomura will perform, Kirokuda and Futari-bakama, are each around 40 minutes in length, which places them among the masterpieces of Kyogen. Both are definitely must-see comedies. The three of us will perform these works twice over a five-day run, which is something you would never see in Japan. And, as I already mentioned, all this will happen on a bona fide roofed Noh stage from Japan, not the sort of simplified set that we have assembled on theater stages for overseas performances in the past. So, we will be presenting Nohgaku on a level never seen before outside Japan. I think this event will really bring out the aspirations of both sides, we performers traveling from Japan, and the French audiences who will welcome us. Haruo Nishino (Literary Supervisor for the Paris show, Professor Emeritus at Hosei University): I am responsible for the literary aspects of the project, such as the introductory explanations played over the P.A. system before each performance, and the supertitles displayed during the show. Given that Kyogen is performed as nonmusical dialogue, the subtitles for the Kyogen performances will be direct French translations so that the audience will be able to savor the zaniness of Kyogen’s dialogue-driven comedy. Noh, on the other hand, uses music and dance to tell the story, with many scenes expressed through abstract action, so it is harder to put into words. The actors put everything they have into expressing each moment with subtle gestures. Looking at past supertitled performances in Japan and abroad, we have seen that the audience often misses out on those critical movements because they are too busy reading the supertitles. That is really unfortunate for them and for the performers. Therefore, for the Noh performances this project, we are going to try to make the supertitles as concise as possible, giving the audiences just enough information to follow the story. This, we hope, will allow them to focus their eyes and ears on the performance. 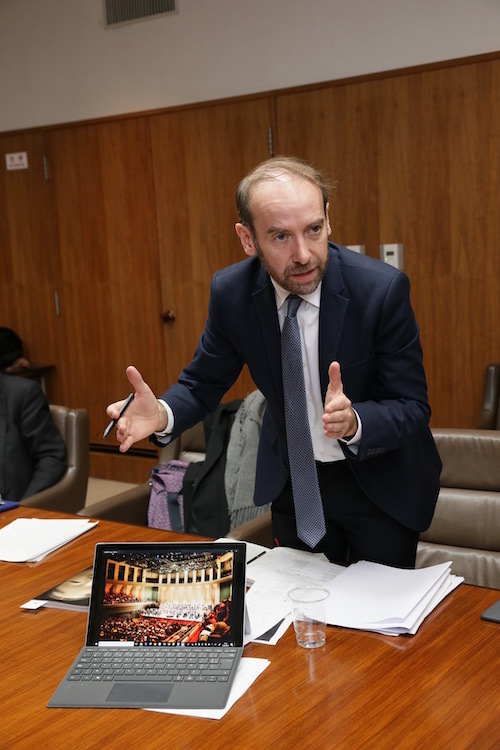 Emmanuel Hondré (Director of the Concerts Department at the Philharmonie de Paris): I am deeply honored and overjoyed that we will be able to present traditional Japanese performing arts in Paris, thanks to the support of Nikkei. This is something that not only France but all of Europe has been craving for nearly 100 years, so I am very grateful that we have the opportunity to host it in Paris. The venue, Cité de la musique, is a concert hall built in 1995, and the neighboring Philharmonie de Paris was built in 2015. Both are new facilities that stand out for their blend of the traditional and the contemporary, hosting performances that range from traditional arts a century old to the latest creations. That fusion, I think, is epitomized by the upcoming Nohgaku production. This will be our first time to stage Nohgaku, so we are very excited about this project. To date, quite a few Nohgaku performances have been held in France, so there probably are some theater-goers who are relatively well-versed in Nohgaku, but I suspect that the vast majority of our audience members will be first-timers. I think that people sense something almost divine in Noh. For most French, Noh is a very abstract universe, a realm far removed from them. As a musicologist, I teach high-level music of the world. When it comes to Noh, I think that it does not fit in with other forms of music, in terms of the vocal range and the way rhythm is kept. Even if you study Noh and learn the meaning of the lines before you go to a show, you still do not fully perceive the symbolic essence of the actual performance. I think that this project, with top-class actors presenting Nohgaku exactly as performed in Japan, will be an opportunity for us to unlock that mystery. This interview was held at National Noh Theater, Tokyo, on February 27, 2018. Interview, text, and photos by Nikkei Inc.
Born in Tokyo in 1930 as the eldest son of the late Manzo Nomura VI, a Living National Treasure. Under his father’s tutelage, he debuted at age four, appearing as a young monkey in Utsubozaru. In 1957 he performed abroad for his first time ever, as a member of Nohgaku troupe taking part in the Theatre of Nations festival in Paris. Since then he has delivered more than ten performances overseas, as part of his efforts to introduce Kyogen to international audiences and spread its art around the globe. He inherited the title of Manzo VII in 1993, and received the Medal with Purple Ribbon in the following year. In 1997, he was designated an individual Preserver of Important Intangible Cultural Properties (National Living Treasure). In 2000, he changed his title to Nomura Man I. He was appointed to the Japan Art Academy in 2001. He was named an Honorary Citizen of Tokyo in 2005. He was recognized as a Person of Cultural Merit in 2008. He currently serves as Chairman of the Japan Council of Performers Rights & Performing Arts Organizations (Geidankyo). Born in 1948 as the eldest son of Rokuro Umewaka LV. He made his debut in Kuramatengu in 1951 at age three. In 1979, he became head of the Rokuro Umewaka troupe in Kanze school. He took the title of Rokuro Umewaka LVI in 1988. 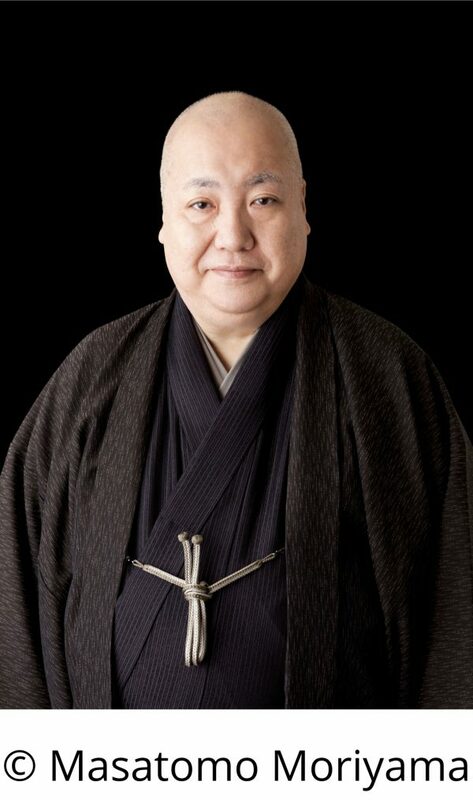 He has received many awards, including the National Arts Festival Grand Prize in 1980, the Minister of Education, Science and Culture's Art Encouragement Prize in 1987, the Kanze Hisao Memorial Hosei University Noh Theatre Award in 1996, as well as the Yomiuri Theater Awards Grand Prix and the Japan Art Academy Award in 1999. He was bestowed with the Medal with Purple Ribbon in 2006, and was appointed to the Japan Art Academy in 2007. He was named an individual Preserver of Important Intangible Cultural Properties (National Living Treasure) in 2014. 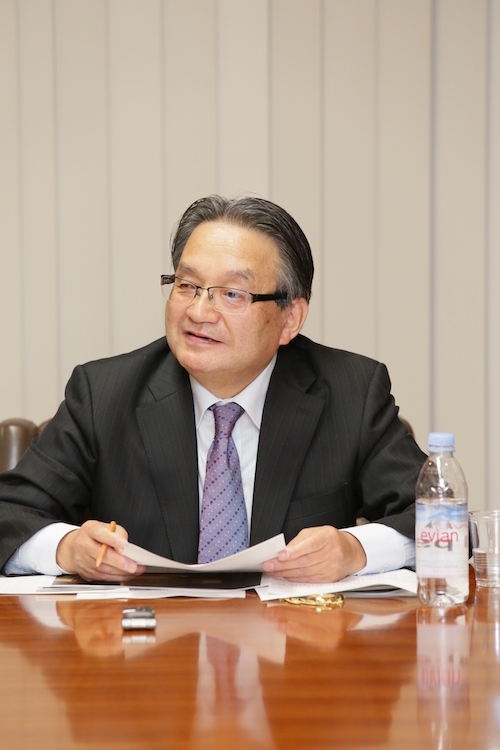 He inherited the title of Minoru Umewaka IV in February 2018. Born in 1941 in Tokyo as the fifth son of the late Kanze Noh actor Shinken Asami. His debut came at age four when he played the role of the child in Hibariyama. He began his studies under his father, but the strong influence of the late Hisao Kanze—then and still today a legend among Noh artists—inspired him to switch his affiliation to the Tessen-kai troupe, where he became a favorite pupil to Hisao. He played his first lead role in 1957, appearing in Atsumori at age 16. In 2000, he was honored with the 21st Kanze Hisao Memorial Hosei University Noh Theatre Award, followed by the autumn Medal with Purple Ribbon and the Minister of Education, Culture, Sports, Science and Technology's Art Encouragement Prize in 2005, the autumn Order of the Rising Sun, Gold Rays with Rosette in 2011, and the Japan Art Academy Award in 2013. As one of today’s leading Noh actors, he delivers outstanding renditions of renowned and grand plays in Japan and abroad, and also actively performs revivals of classics, new works, and experimental projects. Born in 1943. 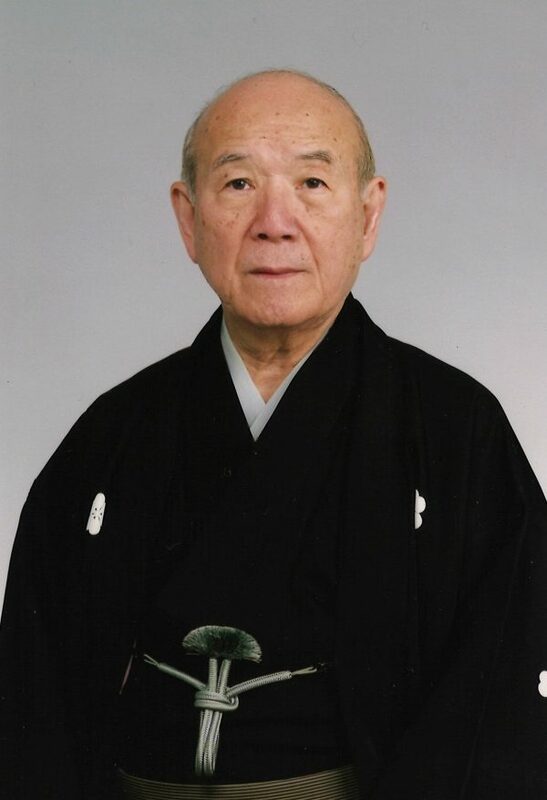 Nohgaku scholar and Professor Emeritus at Hosei University. He previously served as a Professor in Hosei University’s Faculty of Letters, Director of the Nogami Memorial Noh Theatre Research Institute, and Director of Gakugeki Gakkai. He specializes in medieval Japanese literature and Nohgaku, and is a leader in Nohgaku studies who has produced many achievements in comprehensive research. He avidly interprets and revives lost works, namely Togan Boto, Yukioni, Matsuyama Tengu, Hitachi-obi, Kanemaki, and Sanekata. He has also written the new plays Kusamakura and Jeanne D’Arc. 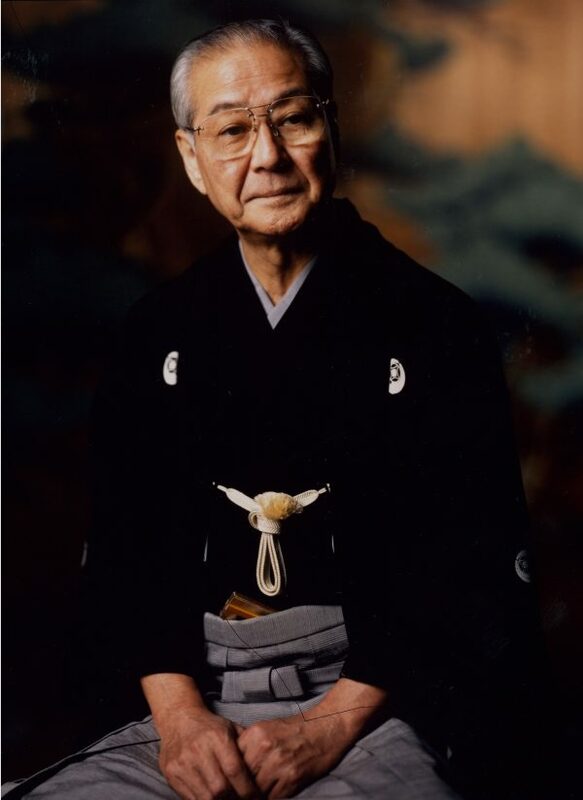 He has also authored or co-written works such as: Noh Playwrights and Plays; One Hundred Selected Noh Plays; Noh, Kyogen, and Fushikaden; The World of Noh Masks; Zeami; and Hayashigoto in Noh. He co-edited A Glossary of Noh and Kyogen and revised Katsura Maruoka’s Annotated Guide to Ancient and Modern Yokyoku. Director of the Concerts Department at the Philharmonie de Paris – Cité de la musique. He studied at the Conservatoire National de Musique et de Danse de Paris, where he earned the Premier Prix in three categories: history of music, aesthetics, and musicology. He received a PhD from Tours University in 2001. He is an active member of organizations such as the French-British Committee for Contemporary Music, the French-German Committee for Contemporary Music – Impuls, and the French-American Cultural Exchange. He is regularly invited to serve as jury member for events such as international vocal music competitions and the Shanghai Isaac Stern International Violin Competition.